These Earrings Are Designed To Catch Your EarPods When They Inevitably Fall Out | OhGizmo! One of the sadder design decisions from Apple’s recent iPhone 7 launch was related to the EarPods. They not only look arguably bad, but they also look like they’d fall straight out of your ear at the slightest bump… which would be ok if they were wired, but not so much when there’s a chance a fall means a trip to the Apple Store for a new pair. 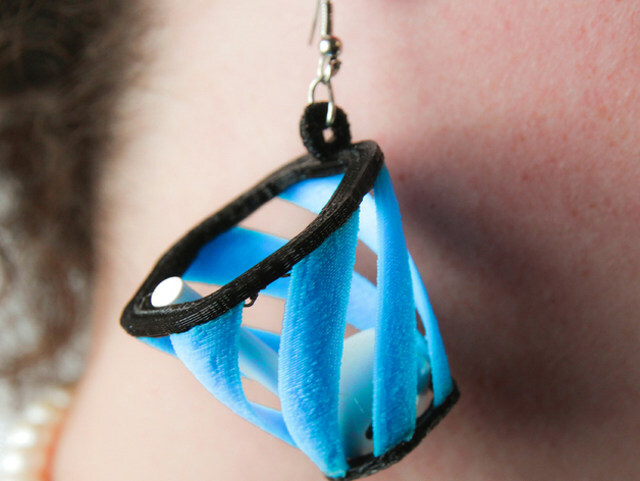 That’s why we’re finding these 3D printed earrings rather cool. They’re called M3D Twisty Earbud Catchers, they’re shaped like a tiny bucket that hangs right underneath your EarPods, and presumably will catch them when they pop out. The good news is that you can print them yourselves at home! The bad news is, of course, that you’re going to need a 3D printer to do that. The link to the 3D print file is below.